Authorized by the Association of the Professional Engineers of Ontario to offer professional engineering services. ROOFING: Inspection and testing including Infrared Thermography (FLIR E45). WALLS: Safety, inspections, rain penetration analysis, thermography. WINDOWS: Failure investigation, performance evaluation, air leakage, water penetration, condensation control, heat loss, and structural performance. Building Diagnostic Testing: Air leakage, water penetration control, condensation control, heat loss, structural, Infrared Thermography (FLIR E45) performance. Curtain wall spandrel glazing removed revealing inadequate seal between roof flashing and curtain wall mullion. Building envelope design, specifications, design review, analysis and site review. Roofing design, specifications, design review, analysis and site review. Air/vapour/thermal Barrier system design and retrofit. 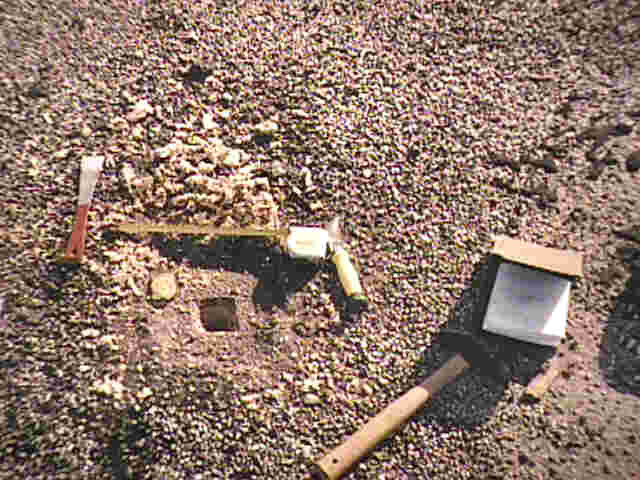 Evaluation of materials and components for code compliance and durability. Waterproofing and sealants: Repair specification and review. Cladding systems: Masonry, curtain wall, precast concrete, stucco and metal cladding. Structural Rehabilitation: Parking garage, balcony and exterior concrete investigation, repairs and warranty reviews. Modern and Historical Rehabilitation and restoration. Preparation of drawings and specifications. Project or subtrade tendering and bid analysis. Progress reports and owner liaison. Contract Compliance Review: Roofing and Building Envelope Construction Inspections. On-site Performance Testing: Performance testing for curtain walls, air barrier and wall assemblies, EIFS systems and windows. Building Envelope Commissioning: Review of building envelope components and testing where required, including Infra-red Thermographic Surveys to evaluate the envelope performance. Infrared Thermal Imaging camera: FLIR Model E45. Adhesive bond test conducted on an isolated 2ft by 2ft section of Exterior Insulation Finish System Cladding. Performance testing during construction. 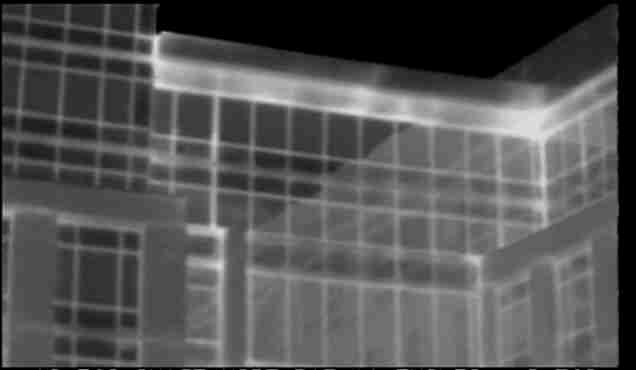 Building Envelope Commissioning done using infra-red thermography. Under positive pressure white anomalies indicate deficiencies in the air barrier system. Inadequate air barrier performance. Air leakage from behind brick veneer and metal clad exterior wall results in condensation on interior and exterior surfaces of cladding. Test cut made in an asphalt and felt roofing membrane to assess the condition of the membrane. Roof survey plan augmented with photos. Maintenance Evaluations: Evaluation of present conditions and required programs. Facility Management Studies: Building condition review and capital cost projections. Technical Audits: Evaluation for compliance with design, code, and construction standards for residential low rise and highrise construction. Reserve Fund Studies: Expected component lifespan and replacement costs for Condominium projects. Prepurchase Inspections: Extensive experience in commercial, residential and industrial. Infra-Red Thermography: Envelope performance and Roofing system surveys. 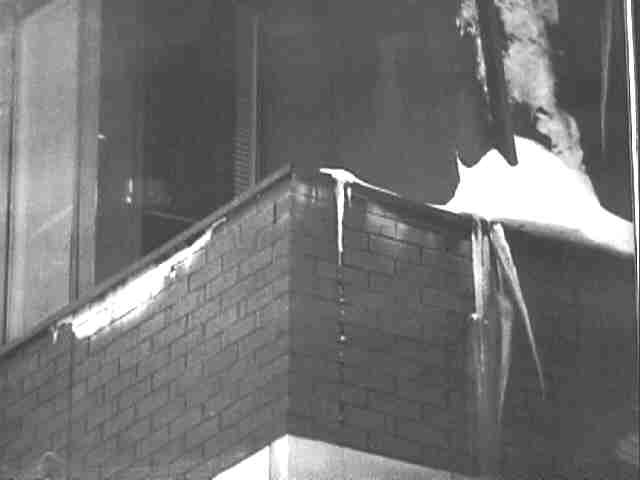 Insurance Claim Investigations: Investigation of building system failures and fire damage to determine cause of failure and recommend corrective measures. 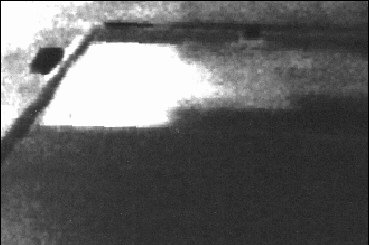 Infra-red thermography using a Flir handheld Infrared Thermal Imaging camera model E45 is used to identify areas of wet roof insulation. White area at edge of roof is wet due to failed edge flashing, heat stored in wet insulation remains warm when roofing surface cools at night. 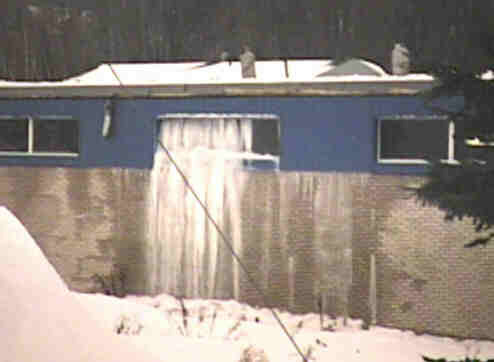 Roof perimeter flashing has failed in this area allowing water to flow from the roof into the metal siding where ice builds up over the windows and wall. Consulting Engineering practice established 1994 (Sole Proprietor). Project Manager/Peterborough Office Manager (1993/94) and Manager of Building Science - Ottawa Office (1990 to 1993), Halsall Associates Ltd., Shareholder and Associate in 1993. Senior Project Engineer and Construction Laboratory Manager, Morrison Hershfield Limited, Ottawa, 1987 to 1990. Project Engineer and Assistant Manager of Research and Development Laboratory, Morrison Hershfield Limited, Toronto, 1984 to 1987. Research Associate, Research Engineer and Assistant, University of Toronto - Department of Civil Engineering, Toronto, 1979 to 1984. Building envelope and roofing construction review services for new construction. Evaluation of building envelope problems including air barrier systems, cladding failures and roofing systems. Evaluation and design of masonry veneer, stone masonry, precast concrete, curtain wall, stucco and sheet metal cladding systems. Evaluation and testing of curtain wall systems, windows and sloped glazing. Laboratory and field testing of curtain walls, windows, air barrier systems, rainscreen wall systems and insulated metal panel curtain wall systems. Evaluation and rehabilitation of historic building facades. Technical audits, reserve fund studies, pre-purchase inspections and building condition audits for building owners/managers and developers. Evaluation and structural repair of reinforced concrete parking structures and balconies. "Distribution of Air Pressures Imposed by Wind in Wood-Framed Wall Construction", by J.A. Thompson and R.L. Quirouette, proceedings of the 5th Annual Building Sciences and Technology Seminar, 1990. 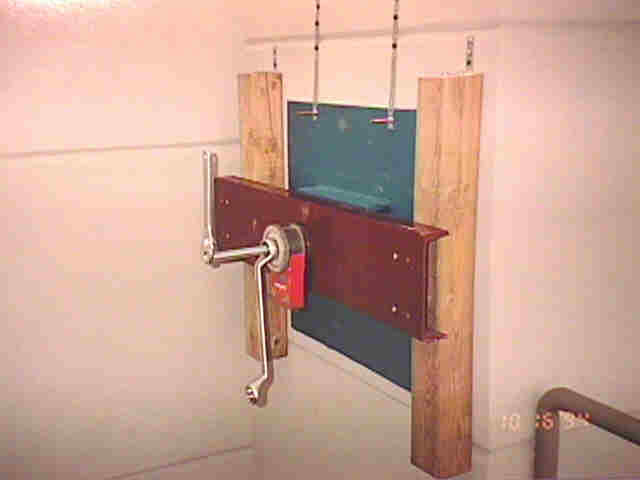 "Development of Proof Testing Method for the Selection of Scaffold Planks", by J.A. Thompson, A.T. Quaile and E.N. Aplin, paper presented at the Forest Products Research Society - General Meeting, 1985. "Steel Roof Diaphragms for Wind Bracing in Agricultural Buildings", by J.E. Turnbull, J.A. Thompson and A.T. Quaile, Canadian Society of Agricultural Engineering, 1985. •	Building Envelope and Structural Condition Review Air Ambulance Facilities; Ottawa, London, Kenora, Moosenee - ORNGE. •	Water penetration investigation and Repair Specifications - Lakefield EMS Facility, Municipality of Smith Ennismore Lakefield. •	Concrete balcony condition survey 7 storey condominium- Richmond Hill, YRCC537. •	Building Condition Review - YWCA building, Peterborough. •	Building Condition Review Car Dealership - Woodbine Ave, Markham. •	Building Envelope and Roofing Construction Review, St. Joseph's at Fleming Long Term Care Facilities, Dunlop Architects. •	Various Condominium Reserve Fund Studies, Guardian Property Man. •	Roofing Assessment, Specification and Construction Review, Works Garage, Municipality of Smith Ennismore Lakefield. •	Thermographic Envelope Survey - CFB Kingston Barracks, Kirkland Eng. •	Roof Construction Review - Ptbo County Courthouse, Lienert Arch. •	Envelope Assess. - Women's Shelter, Lindsay, Bowley - Sinclair Arch. •	Envelope Assess. - Algonquin Park Visitors Centre, Trevelyan Arch. •	Concrete Rehab - Post Office, Lindsay, Lett/Smith Arch. •	Shingle Roof Replacement - Townhouse, Ptbo Housing Corp.
•	Highrise Cladding Rehab - Lake St. Ptbo, Ptbo Housing Corp.
•	Envelope Condition Audit - Prov. Court Building, Ptbo., Erik Wilke Arch. •	Roof Replacement Design - Lakefield Research, Lakefield. •	Thermographic Roof Survey - Boys and Girls Club, Lindsay, Wilcox Arch. •	Thermographic Roof Survey - Lakefield Research, Lakefield. •	Ice Damage Investigation - Paudash Lake, State Farm Insur. •	Barn Roof Collapse Investigation - Peterborough, Middlesex Mutual Insur. •	Barn Wind Damage Investigation - Peterborough, Economical Insur. •	Fire Damage Structural Integrity Assess - Stoney Lake, Economical Insur. • Municipal Building - Condition Audit, Township of Smith-Ennismore. • Airport Terminal Building - Condition Audit, City of Peterborough. • CIBC Branch - Water Penetration Investigation, CIBC Dev. Corp.
• Restaurant, Peterborough - Condition Survey, City of Peterborough. • Retail Store, Peterborough - Review of Ceiling Collapse, Adjusters Canada. • Auto Repair Shop, Peterborough - Fire Damage, Economical Insurance. • Champlain Place Condominium, Peterborough - Humidity Investigation, Guardian Property Management. • Trent University Eaton College - Roofing Assessment, Lett Smith Architect, Peterborough. • Peterborough OH13, Highrise - Roofing Construction Review, PHA. 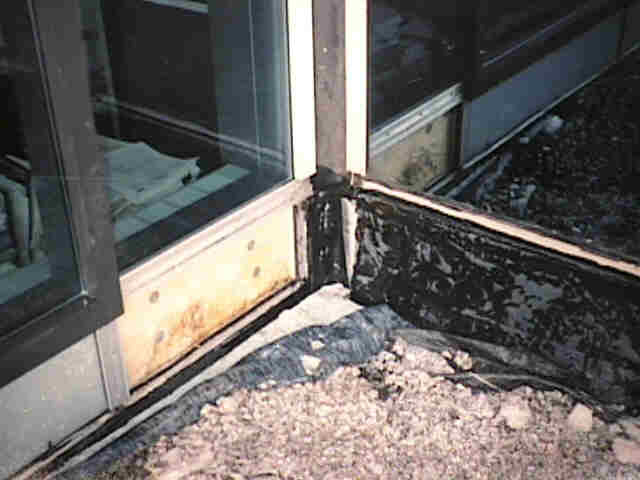 • CIBC Branch Bldg, - Investigation of Odour Problems, CIBC Dev. Corp.
• Parking Garage Waterproofing Spec, Cooper Consultants Peterborough. • Lake Vista Condo, Peterborough - Masonry Cladding Investigation, Guardian Property Management. • Trent University Great Hall, Peterborough - Roof Assessment, Cooper Consultants Peterborough. • Roofing System Failure Assess, Warner & Cork, Barristers & Solicitors. • Parking Garage Roof Deck Waterproofing Assessment and Repair Specification, Cooper Consultants Peterborough. • Trent University Otonabee College, Peterborough - Building Envelope Commissioning Thermographic Survey. • Lansdowne Place Mall - Thermographic Roof Survey, Cadillac Fairview. • Fairhaven Seniors Home Life Safety Retrofit, Peterborough - Assistant Project Manager, Jaye Management. • Otonabee College, Peterborough - Envelope Rehabilitation Design and Construction Review, Trent University. • 1429 Clearview/2020 Mapleridge, Peterborough - Condominium Reserve Fund Study. • 1155 Goodfellow Rd, Peterborough - Balcony, Roofing and Cladding Review, Cooper Consultants Peterborough. • 836 Talwood Drive. Peterborough - Envelope and Roofing Assessment, Cooper Consultants. • Ministry of Natural Resources Office Building, Peterborough - Thermographic Infra-Red Building Envelope Commissioning Study, Thomas Fuller Construction. • Trent University Environmental Sciences Building, Peterborough - Assessment of waterproofing performance, Trent University Physical Resources Department. • St. Alphonsus Church, Peterborough - Preparation of re-roofing specifications, Project Management and Construction review, St. Alphonsus Roman Catholic Church. • Work Centre Building, Huntsville - Roofing Condition Survey, Structural Assessment, Thermographic Survey, Repair Specifications and Construction Review, Bell Canada. • Public Utilities Commission, Peterborough - Review of roof structure and Recommend Remedial measures for purlin buckling and premature corrosion of metal roof decking, PUC. • Ministry of Natural Resources Office Building, Peterborough - Building Envelope Construction Review, Roofing and Waterproofing Construction Review and On-site Curtain Wall Air Leakage and Water Penetration Performance Testing, Thomas Fuller Construction. • Otonabee Valley School Addition, Peterborough - Building Envelope and Roofing Construction Review, PCBE\Carruthers Shaw Architects. • Trent University - Otonabee College, Peterborough - Thermographic survey of the building envelope and sloped roofing system, Trent University. • Trentway Wagar Building, Peterborough - Building Envelope Thermographic Survey and Performance assessment, M.B. Finney Ltd.
• Alcona Switching Centre Building, Alcona Beach (Barrie) - Structural Review of switching centre building floor structure, Bell Canada. • Peterborough County Courthouse, Peterborough - Roofing review and specification review, David Lienert - Architect. • St. Alphonsus Church, Peterborough - Roofing condition survey and preparation of roof replacement specifications, John Callender Associates. • Heeley Residence, Peterborough - Deficiency review of residential project to assist homeowner in statement of claim against builder. • Peterborough Square Shopping Mall, Peterborough - Review of water penetration problems and preparation of specifications, Cadillac Fairview. • Peterborough Square Shopping Mall, Peterborough - Review of existing structural drawings to assess allowable floor loading in retail space, Cadillac Fairview. • Peterborough Square Shopping Mall, Peterborough - Parking Garage Condition Survey, Cadillac Fairview. • Empress Gardens Retirement Residences, Peterborough - Building Envelope and Roofing Construction Review, AON Inc.
• Empress Gardens Retirement Residences, Peterborough - On-site bond strength testing of adhesive applied Exterior Insulation and Finish System, AON Inc.
• 494 King Street, Prescott Ontario - Assessment of foundation and exterior wall damage, Bell Canada. • T.A. Stewart Secondary School, Peterborough - Building envelope evaluation and Thermographic assessment of the building envelope and roofing, Greer Galloway/Peterborough County Board of Education - Halsall. • Joseph S. Stauffer Memorial Library, Queen's University, Kingston - Building Envelope Review, Kuwabara Payne McKenna Blumberg Architects/Queen's University - Halsall. • Building Condition Audits of 15 Federal Government buildings, Prime Consultant, with a team of five sub-consultants Public Works Canada, Ottawa - Halsall. 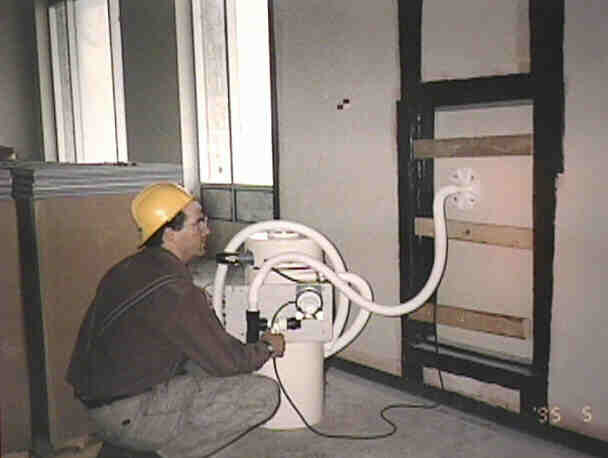 • Carleton University Art Gallery, Ottawa - Air leakage testing and assessment, Smith and Andersen Mechanical Consultants/Carleton University - Halsall. • Collins Bay Penitentiary, Kingston - Thermographic Scan of all Penitentiary building roofs from helicopter, Public Works Canada - Halsall. 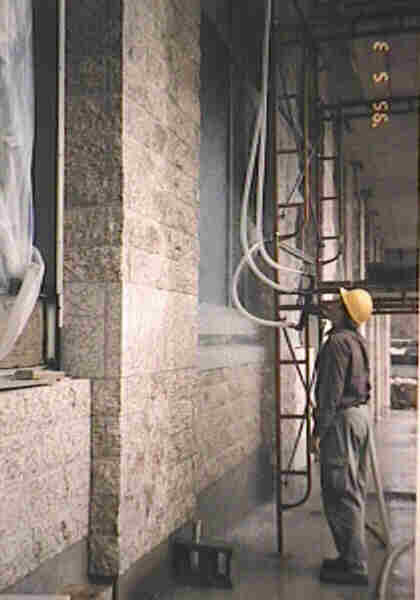 • Chateau Laurier, Ottawa - Quantitative assessment of total Building Envelope heat loss using a computer aided Thermographic technique - Halsall. • Rideau Switching Centre and Office Building, Ottawa - Building Envelope Commissioning, Bell Canada - Halsall. • Canadian War Museum, Ottawa - Building Envelope Assessment, Lundholm Arch/PWC - Halsall. • Telesat Canada Headquarters, Ottawa - Assessment of building envelope problems and repair by original contractor, Morguard Investments/Telesat Canada - Halsall. • 100 Metcalfe Street (Berger Office Building), Ottawa - Parking garage rehab., curtain wall investigation, masonry cladding replacement, Lehndorff Property Management - Halsall. • Ambleside One Condominium, Ottawa - Balcony Survey, Preparation of Repair Doc. and Contract Administration, Jeroniga Canada - Halsall. • CIBC Office Tower, Montreal - Assessment and development of remedial measures for the repair of water penetration and air leakage through precast concrete/metal and glazing curtain wall system, CIBC - Morrison Hershfield. • National Library and Archives Building, Ottawa - Assessment of building envelope performance and structural stabilization of stone cladding, PWC - Morrison Hershfield. • Supreme Court of Canada Building, Ottawa - Building envelope performance evaluation, on-site air leakage and thermal performance testing, PWC - Morrison Hershfield. • Justice Building, Ottawa - Building envelope performance assessment and remedial measures, PWC - Morrison Hershfield. • National Gallery, Ottawa - Building envelope thermographic survey and assessment of skylight water penetration problems, CMCC and PWC - Morrison Hershfield.